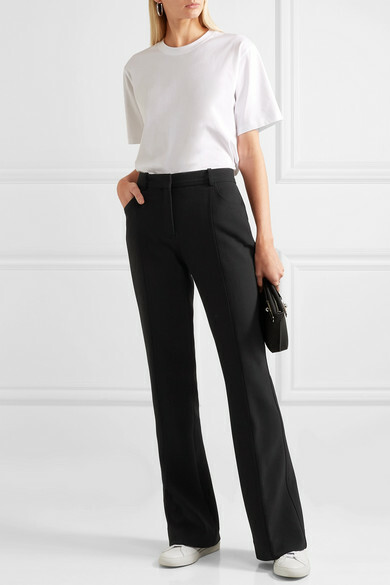 From Victoria, Victoria Beckham's Resort '19 collection, these pants are beautifully cut from smooth cady that has a slightly springy texture. 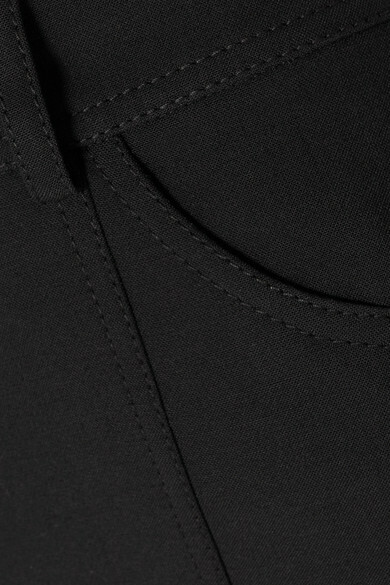 They fit slim through the thigh before kicking out to flared cuffs that just skim the floor. Wear them with a crisp white shirt to your next boardroom meeting. Shown here with: Victoria, Victoria Beckham T-shirt, Loewe Shoulder bag, Common Projects Sneakers, Sophie Buhai Rings, Jennifer Fisher Earrings.